showcasing Phoenix-area restaurants to a sell-out crowd of 2,000 attendees while also raising funds for charity! 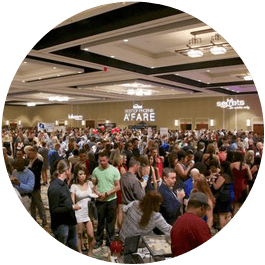 Come enjoy a night of food, drinks, and entertainment at the 19th annual Best of Phoenix A'fare from 8-11pm on Saturday, October 13 at The Van Buren. Your ticket will include 12 drink vouchers and unlimited samples of food from 40 of the Valley's top restaurants. Enjoy good music, great company and unlimited food! Participating restaurants are SOL Cocina, The Halal Guys, Sweet Dee's Bakeshop, Farmboy Market, Meats, Sandwiches, High & Rye, and many more! Guests will also enjoy 12 complimentary drinks at the various bars throughout the venue. 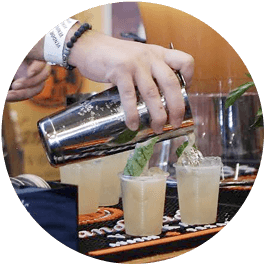 You can expect to enjoy cocktails from Tito's Handmade Vodka, Gentleman Jack, Four Peaks, Hornitos, and more! Purchase your tickets today! General Admission tickets start at $40 and include entry into the event at 8pm, samples of cuisine from participating restaurants, cocktails, wine & beer, and entertainment. A VIP ticket starts at $60 and includes early entry into the event at 7pm, VIP gift bag, samples of cuisine from participating restaurants, cocktails, wine & beer, and entertainment. Please note that this is a 21+ event and you will need to show a government-issued ID for entry into the event. All ticket sales are final. No refunds will be given.